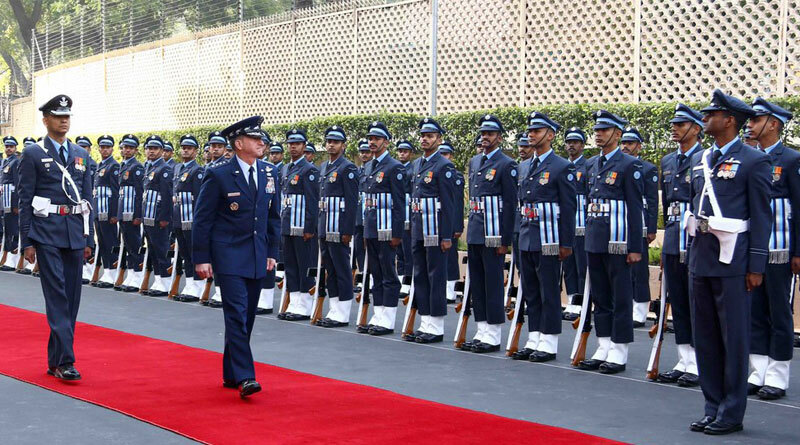 The US Air Force Chief of Staff, General David L. Goldfein held meetings with the Indian military leadership to discuss strengthening of strategic military-to-military partnership with India during his visit to the country. Goldfein had meetings with Chief of the Air Staff, Air Chief Marshal Birender Dhanoa, Chief of the Naval Staff, Admiral Sunil Lanba, Chief of the Army Staff, General Bipin Rawat, and Defense Secretary, Sanjay Mitra. During these meetings, General Goldfein emphasised the USAF’s commitment to strengthening its relationship with the Indian Armed Forces and discussed ways that the US and India can deepen the relationship between their two air forces through bilateral engagements, exchanges and exercises. A day later, Goldfein met India Air Force leadership and air crews from the C-130J 77 Squadron and C-17 81 Squadron at Hindon Air Force Station. During the visit he was briefed on the squadrons’ missions and accomplishments including evacuation operations in Yemen. He then traveled to Jodhpur Air Force Station to meet with Southwestern Air Command Senior Air Staff Officer, Air Marshal Devendra Rawat and learn about the Indian Air Force’s TEJAS Mk-1 fighter and discuss bilateral opportunities between their air forces. Goldfein also took a familiarization flight aboard the TEJAS fighter and met the fighter pilots from the 31st Fighter Squadron at Jodhpur. He also visited the leadership and airmen at Agra Air Station. 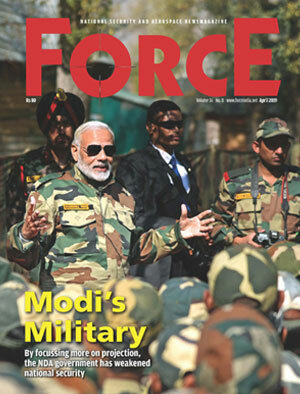 “India is a leading power and strategic partner in the Indo-Pacific region. From our Presidents, to our defense secretary and minister, to our Air Force Chiefs, we’re working together and looking for opportunities to enhance the inter-operability of our two forces as major defense partners in the Indo-Pacific region,” Goldfein said, after the meetings. “General Goldfein’s visit to India is part of an Indo-Pacific tour to advance mil-to-mil relationships in the region, and enhance and strengthen US alliances and partnerships throughout the Indo-Pacific region,” said US embassy in a statement.